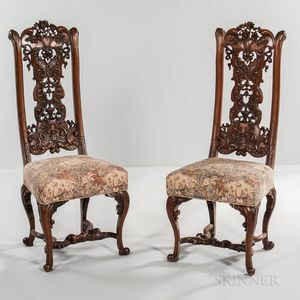 Set of Twelve Walnut Side Chairs in the Style of Daniel Marot, late 19th century, crest rails carved with baskets of flowers, splats with openwork depicting floral motifs and ribbon arabesques, over-rail tapestry-style upholstery, cabriole legs with carved knees, carved H-stretchers, ht. 50, seat ht. 21, dp. 20 in. 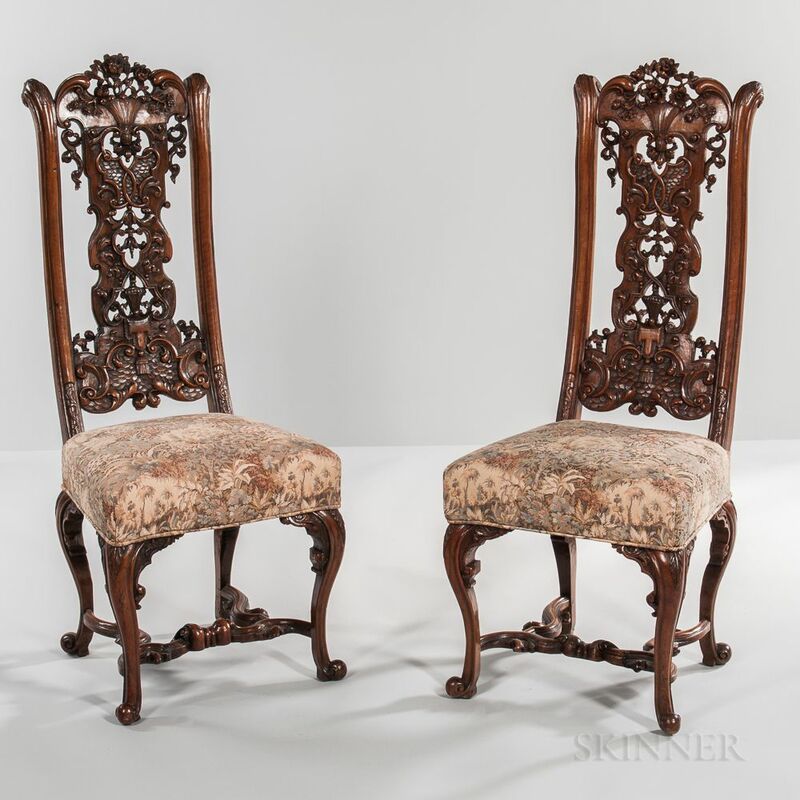 Provenance: By repute made to replace 17th century originals sold from Charlecote Manor, Warwickshire. Minor repairs to some stretchers and feet. Damage to fabric and piping on one chair. Feet drilled for casters.